OUR CLIENTS SHARING THEIR STYLE WITH EC! The Theodore Alexander dining table sourced from EC paired with faux bamboo, chinoiserie chairs that are painted for that pop of color – eye candy! 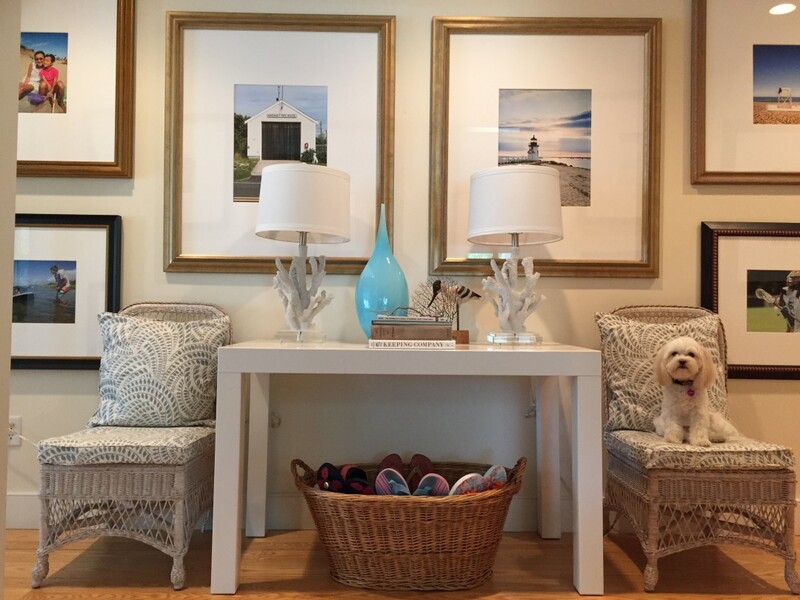 Here’s another client who curated pieces from our showroom and masterfully incorporated into her primary residence and vacation home designs! How Sweet is This Petite Swedish-Country Table For Toiletries and Extra Storage In the Powder Room. Finally, Piece de Resistance – Brass Catch All with Scallop Shell Detailing! Vintage Double Handled, Basket Full of Beach Shoes! 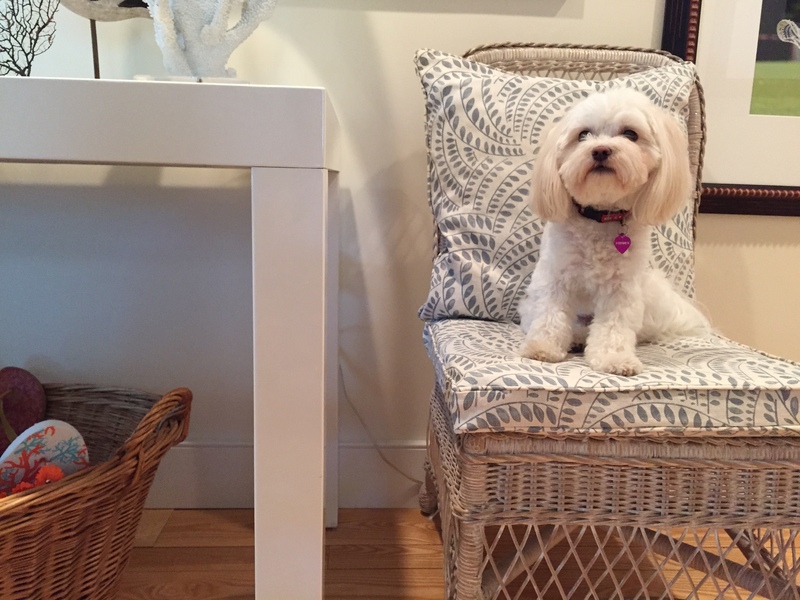 Puppy Perch – Client Procured a Bolt of Hand-blocked, Designer Fabric – Lee Jofa at fraction of the original $300 per Yard Price and Reupholstered Custom Pillows & Chair Cushions.